When you hear the word generators, what is the first thing that comes to mind? It’s likely you would think of the small appliance that you turn to whenever there is a power outage. But did you know that generators do more than that? They can provide a secondary source of electricity to homes, businesses, hospitals, restaurants and similar establishments. Home backup generators (Generator Reviews: Generac vs Ariens) can also provide power in remote areas. It is easy to forget how useful a generator can be. After all, we only appreciate these machines when there is a power failure. A generator is a very practical piece of equipment that has provided power to the world for over one hundred years. The present day generator traces its history to a very simple apparatus created by British scientist, physicists and chemist Michael Faraday in 1831. It was composed of a tube made of neutral material, a coil of wire, bar magnet and was insulated in cotton. 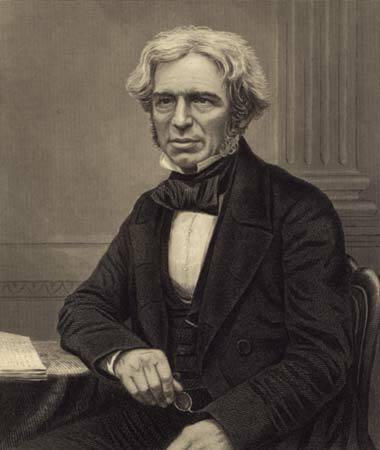 Faraday connected that apparatus to a galvanometer which detects electrical current. He realized that the needle of the galvanometer kept moving whenever he moved the magnet back and forth through the coil of wire, even if the latter remained stationary. This suggested that there was electric current flowing in the coil of wire. He later built the Faraday disc, considered as the first electromagnetic generator. It had a copper disc that rotated between the poles of a magnet that looked like a horseshoe, and it produced a small direct current (DC). Other scientists would eventually pick up from where Faraday left off. A year later, an instrument maker in France named Hippolyte Pixii created the first magneto electric generator applying the same magnetic induction principles postulated by Faraday. Throughout much of the 18th century, however, batteries were the most reliable sources of energy. Electricity was not commercially available until Zenobe Gramme increased the power of generator (also known then as the dynamo) to the point that this appliance produced enough power for commercial applications. Before the turn of the 19th century, dynamos were popular in Europe. Scientists were into the research and design of these appliances. In 1878, the Ganz company started to use AC dynamos in Budapest for small commercial installations. Two years later, Charles Brush helped usher in the electrical age by having 5,000 arc lights in operation. Brush is the man behind Brush Electric Company, one of the forerunners of General Electric. By the 1890s, General Electric and other companies that remain viable today like Westinghouse and Siemens were at the forefront of generator design and manufacturing. The predecessor of today’s home backup generator was the Kohler electric plant that provided electricity for lights at Wenonah Lodge from 1936 up to the early 1950s. It produced 110 volts and automatically switched on whenever there was a power failure in the area. Indeed, Faraday’s discovery of electromagnetic induction and its subsequent application in the design of standby generators has ushered in an era of convenience and comfort. Imagine how great it is to be able to have power in your house even when the entire community is in the dark due to a power outage? Or how wonderful it is to have electricity to power a small refrigerator or low wattage lights while you are camping in the woods? With a generator, anyone can have electricity anytime, anywhere. With portable generators camping has become more convenient and safe. The conveniences of modern living like having a refrigerator for safe storage of food and perishables and having a coffee maker to brew your favorite drink in the morning are now possible to enjoy at a rustic campsite, thanks to a portable generator. With a Yamaha generator, you can bring along and use appliances like an electric fan and microwave oven while in the woods. You can also protect yourself and your family even better with low voltage lights powered by a compact electric generator. This is particularly important for contractors and workers working on construction sites without available electricity. With portable generators, construction workers would be able to operate their tools, including spray gun systems and roofing guns. Of course, they’ll also have lighting to work indoors and during the night. Small entrepreneurs would also be wise to invest in a generator, especially if their business would be affected by a mid or long-term power outage. For example, markets, butcher shops, and restaurants could suffer from tremendous loss during a power outage as the perishables stored in refrigerators and freezers may become spoiled. The same goes for companies that provide Internet-based services, as a power outage can affect their operations even if power is out for only a few hours. Backup electricity source is also essential healthcare providers like small clinics and hospitals. Aside from providing backup power during outages, a generator can offer auxiliary electricity for home improvement projects. Portable generators can give backup power for electric powered equipment like saws and drills. These generators can also be used for sanders and grinders as well as work lights and fans. There would be no need to string extension cords out of the back door. Portable generators offer an alternative source of energy for home improvement projects so you can complete the tasks easier. A backup generator (Check prices here) is a good investment for people who live in areas where severe climate or weather conditions are a threat. A generator is essential for individuals who live in extremely cold climates where a power failure could be lethal, as heaters and home furnace won’t be able to run. With a portable or standby generator, families could use these heat-producing appliances even during a power outage. Families who reside in coastal areas, where storms and tornadoes occur, should invest in a generator. Power outages are often caused by storms. A generator can provide backup energy during emergency situations. Having a backup generator would also enable families living in storm-ravaged areas to monitor the latest news and weather updates, since they would have access to information through television and radio. Perhaps the most compelling reason why people invest in generators is to provide comfort and convenience to their loved ones, especially their children or elderly parents. Power outages can be very stressful. By investing in a generator, families would be able to avoid any unnecessary inconveniences, especially if you need electricity for medical conditions. As you can see, there are a lot of benefits that you can gain from investing in a generator. Now, let’s look at the two kinds of generators that you can choose from—standby, home backup generators and portable generators. Home backup generators (Check prices here) provide a viable, long-term energy source during extended outages that may be caused by storms and hurricanes. There have been instances when a storm can knock down transmission lines, causing utility downtime that may last up to a week or so. During these unfortunate times, your home can source energy from a home backup generators, even when you not at home. Unlike a portable generator, a backup generator is permanently installed on a concrete part of your yard and can give uninterrupted, backup energy for as long as the fuel source last. It looks like a big air-conditioning system. It is connected directly to the electrical panel of the home and powered by fuel supply like diesel, liquid propane, and natural gas. When there is a power failure, an automatic transfer switch disconnects your home from the utility. 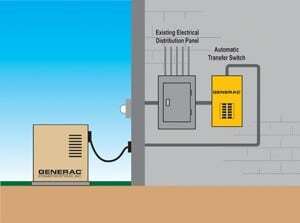 It then starts up the generator and transfers its power to the electrical panel of your home. The system is powered by an internal combustion engine often fueled by natural gas, or liquid propane, or diesel. Once power is restored, the automatic transfer switch shuts down the generator. It will automatically reconnect your house to the utility grid. The automatic transfer switch prevents back-feeding energy to the utility grid. This feature helps prevent fires and accidents to utility personnel working to restore power in your area. Backup generators requires maintenance if it is running continuously for hours. A backup generator would need to get serviced after 24 hours of continuous use. And after 10 days, a professional would have to change the generator’s oil and filter. Prices of backup generators can range from $3,000 to $30,000 depending on the size and output, not including installation. Most likely, you will need to hire a professional to install your standby generator, someone with advanced electrical and plumbing skills, and very familiar with local building codes. It is important to secure permits before you start installation of a backup generator. It is recommended that you determine your family’s needs in an emergency before you shop and buy a standby generator. To give you an idea of the size of the standby generator you need in your home, an entry-level home backup generator has an output of 7 to 12 KW. This home backup generator is about the size of a large trash can and can power up to 16 critical loads including two lighting circuits, a refrigerator, and an oven, although not all at once. A midsize generator has an output of 12 to 20 KW. It can simultaneously power four lighting circuits, a refrigerator, a well pump, a television, desktop computer, laptop, and a central AC. A standout feature of this kind of generator is load-shedding function that shuts down unimportant appliances, so it can power up high priority circuits. A large generator has an output of up to 48 KW. This type of home backup generator can power an entire house. There are two types of standby generators—alternating current (AC) and direct current (DC) generators. Both produce currents based on the fundamental principles of electromagnetic induction of Faraday. As Faraday discovered in 1831 when he moved a magnet back and forth through a core of wire, moving a magnet near a stationary wire can create a steady flow of electrons. Standby generators use electromagnetic induction to change mechanical energy into electrical energy. In an AC generator, the electrical current occasionally reverses direction. This is due to the design of the generator, with the north and south poles of the magnet causing the current to flow in opposite directions. AC generators are typically used in homes. They enable you to power small motors and electrical appliances like food mixers, juicers, and vacuum cleaners. The current flows in just one direction in a DC generator. This is because the coil through which the current flows is rotating in a fixed field. DC generators are used for powering large electric motors like those used in subway systems. Unlike the standby generator which is permanently installed in the backyard, a portable generator is compact and mobile enough to be brought to various places like campsites, job sites, and even in your backyard. It is also cheaper than a standby generator, with a decent portable unit costing around $400. And unlike a standby generator, it does not require installation time. It can provide power for only a few hours, and for a handful of appliances, not like its bigger counterpart. A portable generator has to be manually started during a power outage. This differs from a standby type that would start on its own once it detects that there is a power failure. Finally, another difference is that a portable generator is usually powered by gasoline while a standby generator is powered by natural gas or liquid propane. Although a portable generator may appear to have very modest features when compared to a standby generator, it does have its uses. Portable generators can provide 3KW to 10KW of power. That output should be enough to power household essentials like water pump, several lights, a heater, and even a refrigerator. The electricity generated by the portable generator type can come in handy during an hour or so of power outage. Just don’t expect this generator to power the AC or your plasma television. Portable generators can also provide backup power during camping trips. The electricity generated by these devices should be enough to charge your phone, or to power a grill. Its output can energize several lights and an electric fan. And because it is cheap, a portable generator appeals to most budget-conscious buyers. Prices vary depending on the output of the generator. There are companies who make quieter and more environmentally-friendly generators as well. Home Backup Generators- What’s best for my home? What is the most appropriate unit for your home? To answer that question, you need to take in several considerations. Your budget would be one of the most important factors to consider. How much are you willing to spend for a home generator? 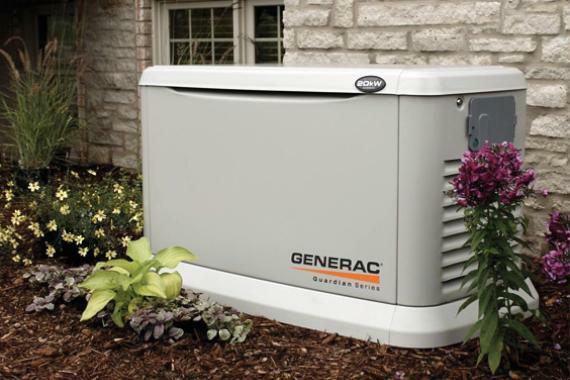 Do you have enough money to spend on an expensive standby generator? You ought to keep in mind that aside from the cost of the unit itself, a standby generator also requires professional installation and regular maintenance. You must also estimate the power requirements at home to determine the size of generator that you will buy. You can get the exact wattage of your appliances by referring to the owner’s manual. Add up the wattage and multiply it by two to determine the estimated wattage you need at home. If you are to get a standby generator, make sure that it has an automatic transfer switch. This will detect a power outage and turn on the generator. It should also have an automatic voltage regulator. This will stop voltage fluctuations that may damage appliances like home theater sound system, television, and computer. A quality standby generator must also have an auto safety shutdown. It would activate during unsafe operating conditions like low coolant, low oil pressure, and low oil levels. It must also have circuit breakers to prevent damage to connected equipment. Liquid cooling will make the generator run quietly and reliably. If you choose a portable generator, choose one with at least 5,000 KW. That output would be enough to power several lights and a refrigerator so your food won’t become spoiled. You’d also need to access the generator’s weight, dimensions, handle and wheel type if you intend to transport it regularly. Once you have bought a home generator, keep in mind basic safety tips. For example, do not add gas while the portable generator is running. You must never overload a generator. Remember to always use heavy duty extension cords to prevent equipment damage and fires. Having a generator at home can give you peace of mind knowing that you can have backup power in case of a power outage. Generators let us enjoy simple conveniences like lights and electric fans while camping out. Generators can make our lives a little more comfortable. I wanted to thank you for the interesting article about generators. You mentioned that portable generators can help give backup power for electric powered equipment. I’m kind of interested to learn if a portable generator can come in any size.